Why United Party for National Development (UPND)’s motion to impeach President Edgar Lungu should not be debated by Parliament? The said motion to impeach President Lungu is baseless, frivolous and devoid of credible evidence. UPND’s Mazabuka Central Member of Parliament Garry Nkombo filed (on March 22, 2018) a motion to impeach President Lungu. This is UPND’s second attempt to remove a sitting President from office after the attempt to remove late Levy Mwanawasa failed in 2003. Both the impeachment motions are UPND’s disguised tussle over presidency or expression of their grievances over the disputed election results in 2016 and 2001, respectively. However, the current impeachment motion, a process by which a legislative body (Parliament) formally levels charges against a sitting President or formal statement of charges as a first step to remove the President from office, lamentably fails to pin-point offences backed by evidence that Lungu allegedly committed in his capacity as Republican President. The impeachment motion is framed on two flimsy grounds: Alleged violation of some portion of the Constitution, and Gross misconduct. Further, the specified allegations fall short of the test of prosecutable offences. Yet the Constitution’s Article 108(1) clearly states that the alleged offences against a sitting President should be backed by evidence: (a) A violation of a provision of this Constitution or other law;(b) A crime under the international law ;or (c) Gross misconduct. President Lungu did not violate Article 104(3) as the election petition in question, which was filed via Article 101(4),does not require the incumbent to hand over power to the Speaker. However, the election petition filed via104 (4) (after the presidential election re-run), provides for the transfer of power to the Speaker. As the incumbent, President Lungu fully complied with Article 105 when he handed over power to the President –elect (to himself) after he was sworn into office. President Lungu also performed his executive function in accordance with Article 92(1) and 104(3), respectively. There were two Presidents during the time the election petition was still active in the Constitutional Court: The executive President or the incumbent, and the President –elect. However, both Presidents were in one person of Edgar Lungu. So, which President was supposed to hand over power to the Speaker? Is it the executive President? Or the President –elect? Unfortunately, the Ground one is a matter in the Constitutional Court case that is pending determination. There is need to allow the Court, which constitutes the Judiciary arm of Government, to dispose off the case. Moreover, the impeachment motion is a formal statement of charges against the President so that once removed from office he faces trial in the Court of law. Further, Parliament is a house of honour, dignity and decorum that should not lower its integrity: Why should Parliament waste time and resources to debate baseless and frivolous allegations against President Lungu? The Speaker should give the Court of law time to hear and determine the case as he has always done before. In the interest of justice, President Lungu is duty-bound to offer wise counsel to the judiciary. President Lungu did not interfere with the independence of the judiciary in any way or violate Article 122 even if he warned Judges not to emulate their Kenyan counterparts (who had nullified election of Uhuru Kenyatta) in his wise counsel to them. President Lungu also in his wise counsel to the civil servants used the following Bemba proverb: “Bemba Ubomba mwiballa alya mwibala,”and added that do not consume the seed to detest the abuse of Government resources by those charged with responsibilities to manage the country’s treasury and coffers. The context in which this Bemba proverb or wise saying was coined is a particular social setting: They earned their living from substance farming. Indeed, this wise saying can be translated in modern times as: Source of income or means of earning a living, and not looting public resources as alleged in the impeachment motion. In this case, civil servants earn a salary for working in Government .Therefore, President Lungu is duty-bound to advise civil servants to live a decent life by earning only salaries and allowances due to them, and discourage them from dipping fingers in the national coffers. It’s unfortunate that UPND misconstrued President Lungu‘s timely wise counsel to civil servants to earn salaries and allowances, and not plunder public resources to imply that he encourages corruption. The allegation that President Lungu interfered in the ZCCM-IH operations when he directed them to stop proceedings to recover debt from First Quantum does not have legs to stand in Parliament. The accusation that President Lungu engaged in acts of corruption for amassing personal wealth in the short period he served as Republican President is laughable. Is UPND not demeaning President Lungu to suggest that he did not earn money when he served as Chawama area Member of Parliament, doubled as Justice and Defence Minister, served as PF Secretary General and Acting Republican President, and later on as Republican President? It’s also naïve to deny that President Lungu have many well-wishers just like other Presidents. As for allegations that President Lungu is sponsoring defections of opposition councilors, retiring public officers in the national interest who are suspected to be inclined to UPND, his staff’s involvement in corrupt actitities, and undertaking numerous wasteful foreign trips with a blotted delegation are not only childish, frivolous, malicious, but also UPND’s perception. President Lungu has often challenged anyone with evidence to present it to the Anti-Corruption Commission (ACC).But no-one to date has so far presented such reports to ACC. There is no law that limits the number of foreign trips the Head of State can undertake: As the first diplomat, he’s at liberty to travel many times so long he sees the economic benefit to the country. Cabinet authorized the US$3.1 billion Lusaka-Ndola dual carriage road project based on the Road Development Agency (RDA)’s advise. However, Cabinet resolutions are collective decisions, and not presidential directives. Housing and Infrastructure Development Minister Ronald Chitotela explained, in his ministerial statement to Parliament, that the total Lusaka-Ndola dual carriage road stretch is 812 km,and clarified the cost of the road per km as US$ 1 million and not US$3 .1 million as alleged by Chishimba Kambwili. However, President Lungu did not either revoke the ministers’ appointments or dissolve Cabinet even after dissolving Parliament. The Constitution does not say that once Parliament dissolves ministers automatically ceases to hold office. But the said Article 116 is very clear on how the minister vacates office. President Lungu cannot be accused of wrong doing in the case involving the proceeds of the sale of Mukula logs b y ZAFFICCO, on behalf of the State, as he is not the controlling officer. But Article 92(1) vests executive powers in him to appoint Permanent Secretaries (PSs) as controlling officers supervised by the Secretary to the Treasury. 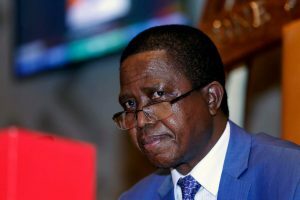 President Lungu cannot be held accountable for the procurement of fire tenders and ambulances, whereas technocrats or heads of ministries or Government departments can only be held accountable if the auditor’s report reveals wrongdoings. Respective ministries, Government departments and other statutory bodies directly procure goods and services under the decentralized procurement system, and the President does not sit on the procurement committees. However, both local Government and Health ministers clarified the issues in question in their ministerial statements, respectively. Agriculture Minister Michael Katambo explained in a ministerial statement to Parliament that Government signed a Memorandum of Understanding (MoU) with Avic International. The Avic International has pledged to build a NRDC campus in Mumbwa, which will enhance many young Zambians’ access to agriculture training. The land where NRDC currently sits will be leased for 99 years to the said Chinese firm. Government has not sold the land in question to Avic International as alleged by UPND. Since national debt is contracted by a Cabinet resolution, which is a collective decision, then President Lungu cannot be held accountable alone for the debt accrued for over a period of seven years. President Lungu only served as Republican President for less than three years. Further, Cabinet decisions are made with Secretary to the Treasury, Attorney-General and Finance Minister‘s advise. What’s next now that the UPND has filed notice of motion in the National Assembly to impeach President Lungu? Firstly, the impeachment motion is baseless, frivolous, malicious and full of allegations without credible evidence, and does not directly link President Lungu to the offences he is allegedly to have committed. Secondly, the formal statement of charges, as the first step in the process to remove President Lungu from office, is not prosecutable offices in the Court of Law. The said formal statement of charges is a matter in the Constitutional Court case that is pending determination. But since the basis for the impeachment motion is to remove the sitting President so that he faces trial of the said charges in the Court of law, then the impeachment motion falls off. Thirdly, the Speaker is not under obligation or compelled by Article 108 to table in Parliament the impeachment motion for debate once it’s filed in the National Assembly. The Speaker wields power to decide whether to table the motion in Parliament for debate or not. Therefore, the Speaker should not table the impeachment motion in Parliament for debate.